Apart from serving the specialist greyhound publications in the UK and Ireland, including Racing Post, Greyhound Star and Ireland's Sporting Press, images also regularly appear in national newspapers and magazines, web sites, advertising campaigns, for exhibition display purposes, international publications, and in several books. 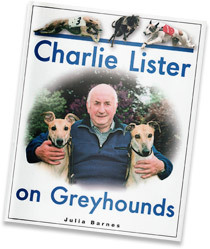 These include many greyhound titles from Ringpress Books, (publishers of "The Ultimate Greyhound" ) and also First Stone Publishing - examples “Charlie Lister on Greyhounds” and Floyd Amphlett’s superb biography on Nick Savva. I have also been closely involved with The Greyhound Board of Great Britain in their promotional work, industry calendar, and annual reports (also BGRF in this respect) over a period of many years. Other commissions I've undertaken include the “Svenska Spel” Swedish Government promo of legalised gambling, promotional materials for the film “Small Time Obsession” which showed at the Cannes Festival and in UK cinemas; props for several TV programmes including “Hustle”, “Down To Earth”, "New Tricks" and “Hunted”, backdrops for Sky and Racing Post Greyhounds TV, and advertising work such as Smirnoff's “They’ve clearly discovered” campaign. All images © Steve Nash Photography 2016. All rights reserved.